A newly released rendering of Freedom Park. David Beckham’s five-year push to bring a new professional MLS soccer team and stadium to Miami could be drawing to a close as the city prepares to vote on a plan to turn Melreese Country Club into a $1 billion mixed-use complex known as Freedom Park. 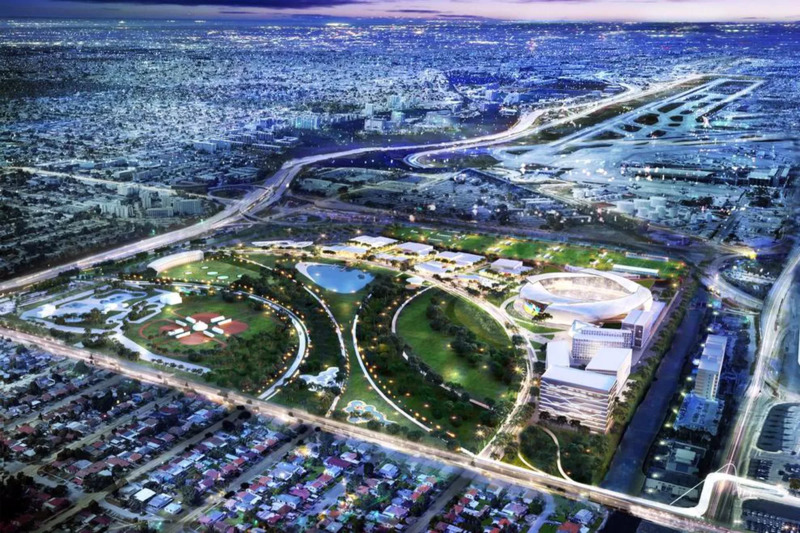 The latest plan from Beckham and development partner Jorge Mas would convert 78 of Melreese’s 131 acres into a 28,000-seat-soccer arena, youth fields, hotels, retail stops, restaurants, and a technology incubator. Remaining acres would be converted into a public park with the developers providing at least a portion of the necessary funding. The Beckham-led venture proposes paying $4 million to $5 million per year in rent to Miami and perhaps ten times that amount in annual county taxes, according to a Miami Heraldreport. New renderings of the Freedom Park development were revealed in a promotional video tweeted by Mas on Sunday night. Supplanting an earlier—and ultimately abandoned—plan to build the new stadium in Overtown, the revised proposal will head before city commissioners for an important vote on Thursday, June 12. If at least three of five commissioners vote in favor of the project, a referendum measure is set to appear on November’s ballot—giving Miami voters the final say on the matter. Like the contentious Overtown proposal before it, the MLS stadium complex at Melreese is not without its opponents. Many golfers who frequent Miami’s only city-owned course are against handing over the land—situated just east of Miami International Airport—to a private entity. An online petition to “Save Melreese” has already gathered close to 22,000 signatures. Among those speaking out against the Freedom Park proposal is former Miami Heat player Ray Allen. The legendary shooting guard took to Instagram this morning to defend Melreese golf course and its youth programs.